Remember where you were in 2003? The Ataris do, and they're riding a wave of nostalgia to the Big Dipper. Ah, 2003. It might seem strange to reminisce about a year that found the country on the verge of a recession and in the early stages of a war, but as a pop culture-obsessed teenager with a decent dial-up internet connection, it was quite a time. 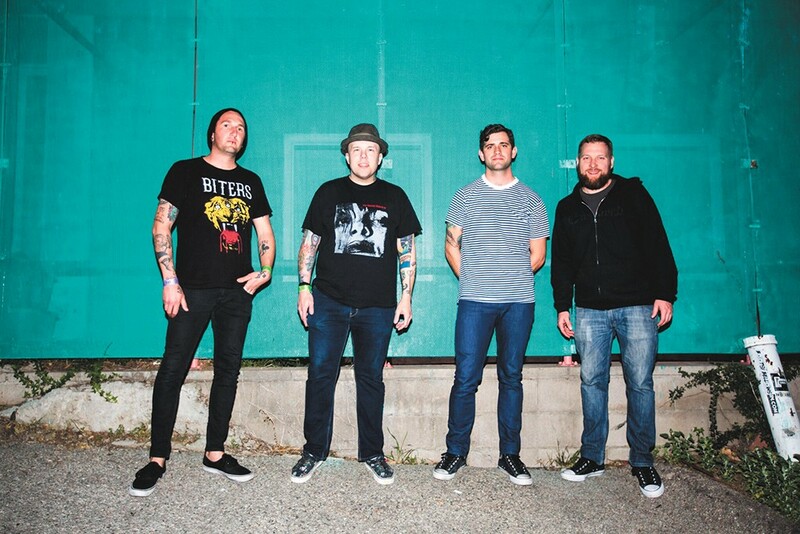 The California pop-punk band the Ataris are also glancing in the rearview mirror on their latest tour. They're celebrating the 15th anniversary of their album So Long, Astoria, which made them a hot commodity in '03 and featured their highest-charting single, a cover of Don Henley's classic "The Boys of Summer." It was the era of punk going pop (read: emo), of Abercrombie and Fitch, of denim skirts and boy bands. So Long, Astoria is very much of its time, an album that produced so many angsty anthems and just as many senior yearbook quotes. "Being grown up isn't half as fun as growing up." "Life is only as good as the memories we make." "All you can ever learn is what you already know." "Don't look back. You can never look back." OK, so maybe that last one should be attributed solely to Don Henley, but the sentiment still stands. Listening to the record for the first time in who knows how long, I'm feeling nostalgic for the era in which it was released, so bear with me while I reflect on some other musical highlights from that year. Before its slide into obsolescence (followed by a failed rebranding effort), American Idol was the hottest thing on TV. In 2003, the show's second season talent pool was eventually whittled down to Ruben Studdard and Clay Aiken. A whopping 24 million votes were tabulated, and Studdard took the victory by one of the slimmest margins in the series' history. Studdard translated that into a relatively successful R&B and gospel career, while Aiken became an arguably bigger pop star, eventually running unsuccessfully for Congress in his home state of North Carolina. She's now one of the most acclaimed artists in the world, but in 2003, Beyoncé was the last of the three members of Destiny's Child to put out a solo album. It was worth the wait. That record, Dangerously in Love, was an out-of-the-gate phenomenon, and it's still Bey's biggest-selling LP. And no wonder: It spawned hits like "Baby Boy," "Me, Myself and I," "Naughty Girl" and the irresistible "Crazy in Love," all stone-cold classics. Her reign started there and has continued ever since. Also burning up the charts that year was the rap duo OutKast, who released the Grammy-winning, double-disc juggernaut Speakerboxxx/The Love Below. Their crossover smash "Hey Ya!" defied genre conventions, a straight-up pop track that remains a highlight of the decade. Also in 2003 hip-hop: 50 Cent blew onto the scene with his inescapable single "In Da Club." Jay-Z's Black Album dropped, boasting soon-to-be-iconic tracks like "99 Problems" and "Dirt Off Your Shoulder." The Black Eyed Peas cracked the Top 10 for the first time with the Justin Timberlake-featuring "Where Is the Love?" The original print version of this article was headlined "Punk Goes Pop"